Need new apps for your favorite device? Here are 93 iPhone, iPad and iPod touch apps that just hit the App Store. 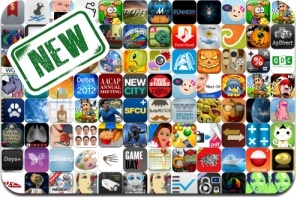 This new apps alert includes Chicken Raid, SuperCoo, Turtles, Huh?, iBackgammon, Hugo Troll Race, WGT Golf Lite, Phrase Friends, Hugo Troll Race, Sketch Out, Insight for Living, Cook Convert, Camera To PDF, SyncPass, Many Faces Photo Collage Maker, and many others.